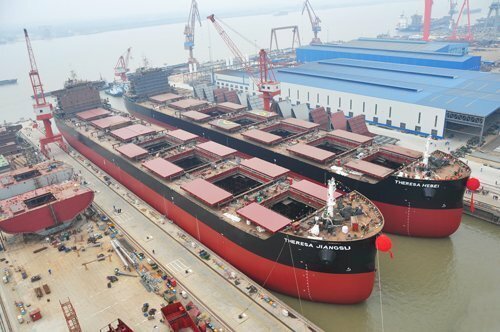 The second auction for the entire assets of bankrupt Chinese shipbuilder Sainty Marine has failed today due to there being no bidders. The starting price of the second auction was lowered by 20% to RMB1.72bn ($265m). The third auction is scheduled for May 3. According to the receiver of Sainty Marine, the creditors of the shipyard will hold a meeting soon to discuss the breakup and disposal of the shipyard’s assets if the third auction fails.